Case presentation. 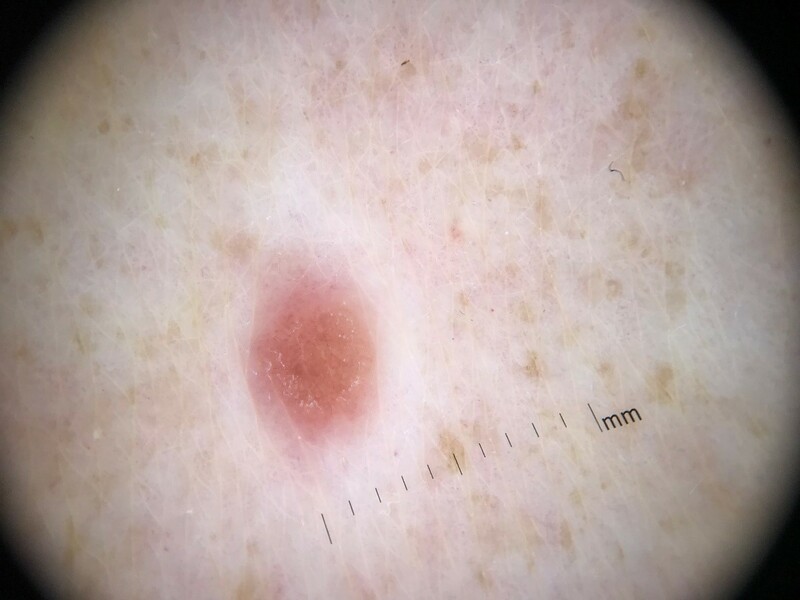 A 55 year old man presented in January 2008 with 2 melanoma primaries on the left shoulder and lower back. One primary on the left shoulder was 2.4 mm in thickness and the lesion on the lower back was 0.75 mm with marked regression. 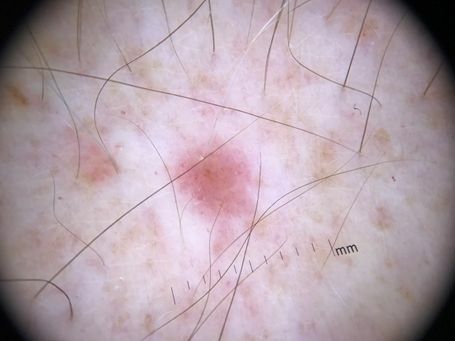 He has a florid atypical mole syndrome phenotype and was followed 3 monthly in the dermatology clinic. He has skin type 1 and most of his naevi are pink. His mother had a brain tumour and also had multiple atypical naevi. In 2012, he presented with a further primary melanoma of 0.9 mm on the right chest and continued follow up. In 2017, he developed palpable right axillary lymphadenopathy. A lymphadenectomy showed 6 out of 20 lymph nodes involved. However, a few months before his relapse in the axillary, he had developed widespread halo naevi around most of his compound and atypical naevi. 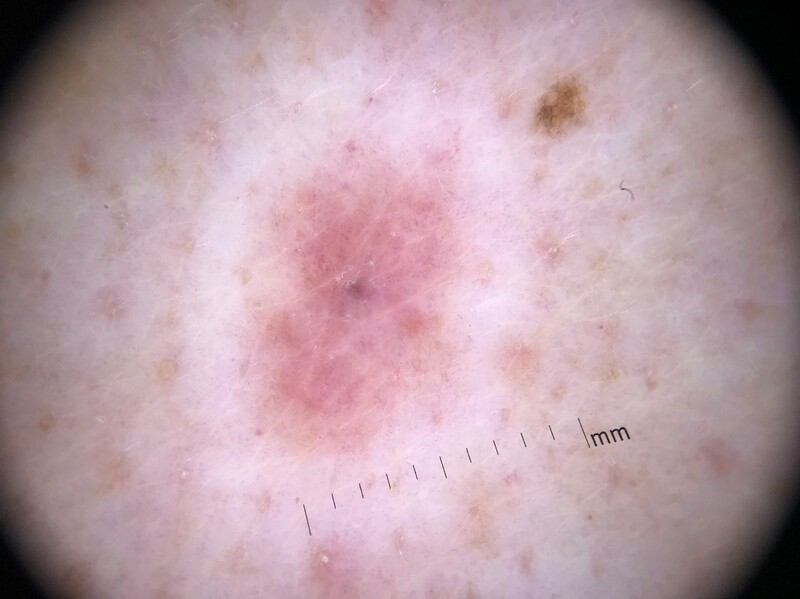 This widespread halo naevi presentation in a patient with a previous melanoma primary and in middle age, is suspicious of disease progression and patients should be offered a thorough examination and imaging to rule out progression of the disease. Martin et al. 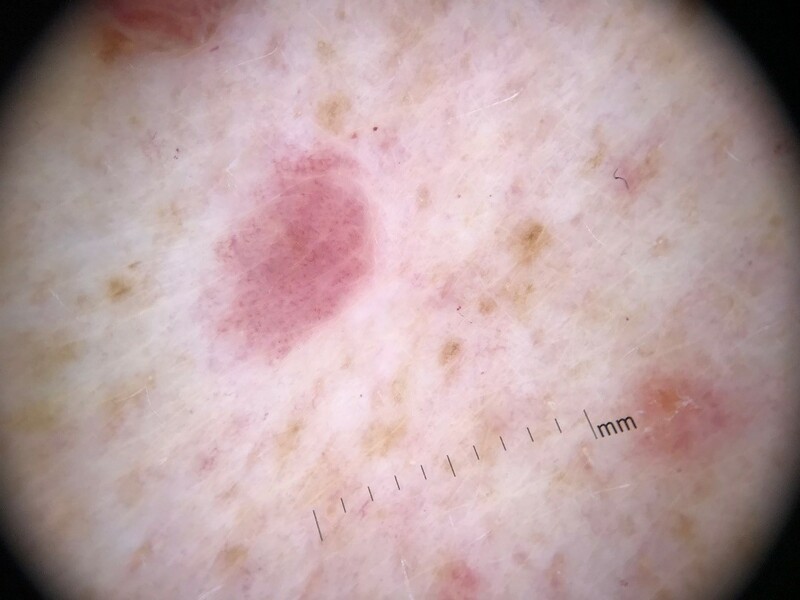 (2014) reported 3 cases of complete regression of multiple naevi after melanoma diagnosis and one of the patient had this multiple halo naevi presentation at the time of lymph node relapse like our patient. Key message. 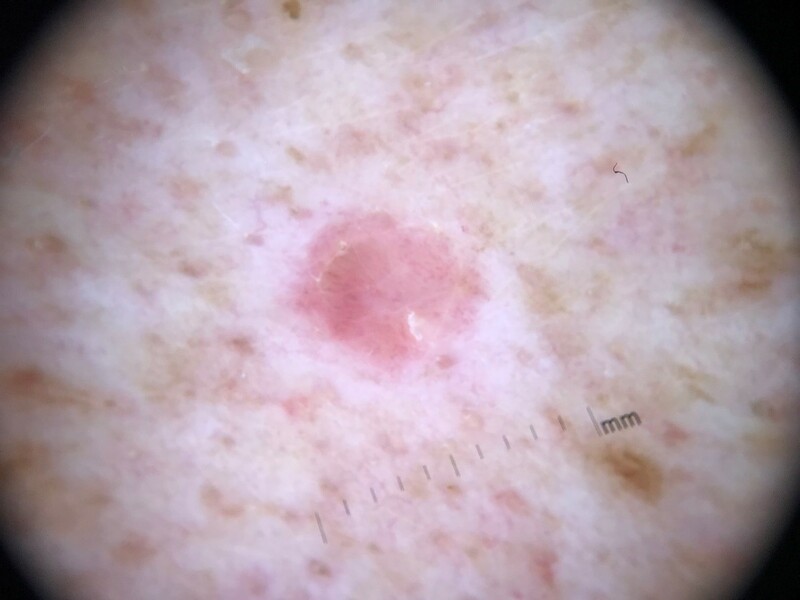 This phenomenon of widespread melanocytic regression and vitiligo can be seen in patients under immunotherapy for melanoma but our patient had never received any systemic treatment. Martin JM et al. Am J Dermatopathol 2014 ;36 :e183-188.